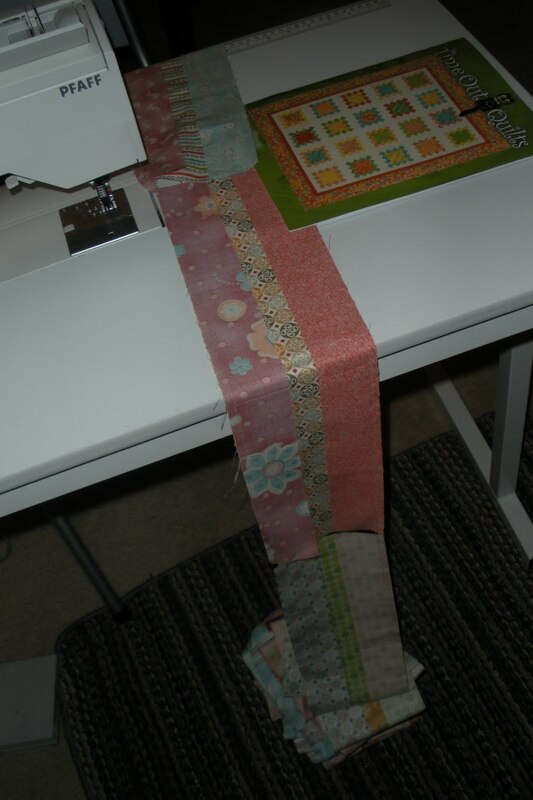 This was my set up in the living room last night, piecing a new quilt for the shop while I watched Biggest Loser. 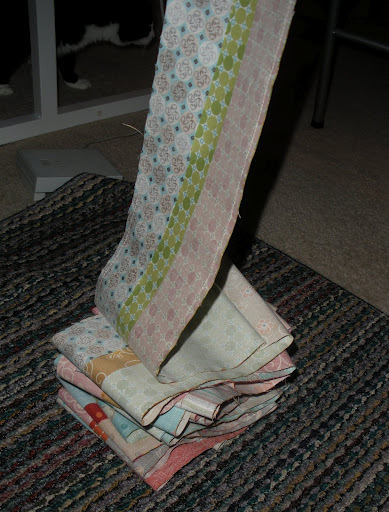 I always love the sight of a pile of chain-pieced blocks…it provides me with such a sense of accomplishment! I’m making the Shoeboxes quilt out of Terry Atkinson’s Time Out Quilts Book. Super fast, easy, and oh, sew, cute! Love the new mittens! Adorable. And I learned a new word too – upcycle. Thanks for sharing. I also find great peace in piecing. Hoping to do more of that in the weeks ahead. Love the fabric in the mittens. Aren't Terry Atkinson patterns just the best? Nobody writes clearer instructions than she does. Pretty tree. Pretty stack. Pretty gloves. Good for you, Doris! 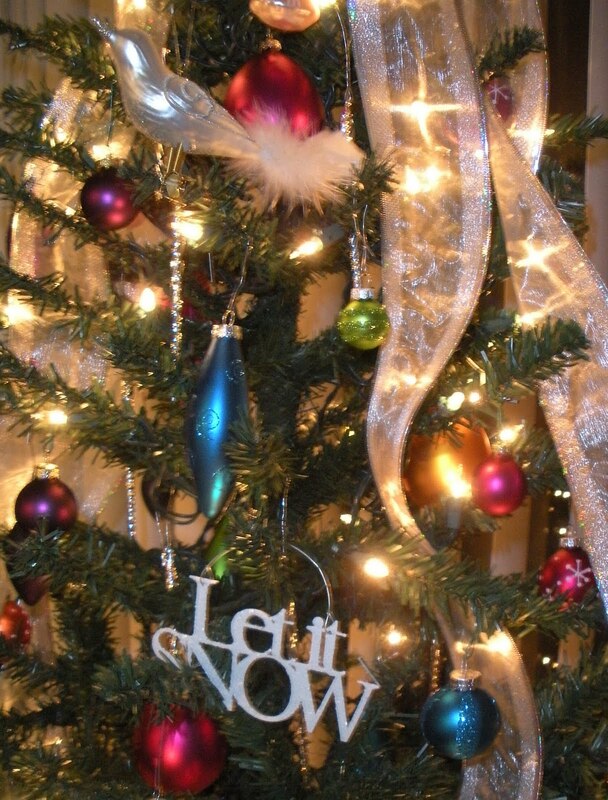 Isn't it amazing how much effort it can take to maintain a peaceful holiday season? Looks like your piecing efforts are quite productive! And those mittens are fabulous. 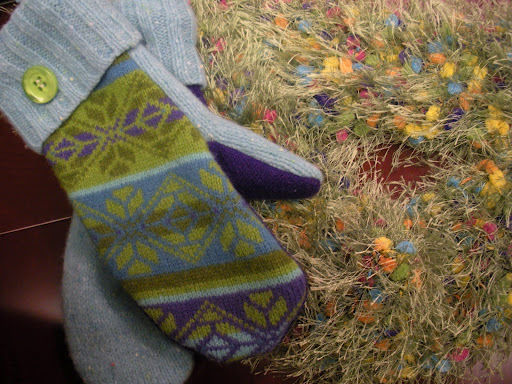 I have been saving wool sweaters to felt and make into mittens.